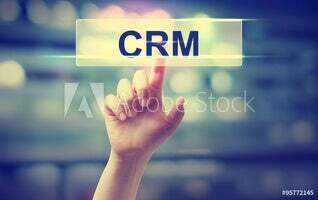 Do you already use CRM Software? These case studies allow prospective buyers to understand how CRM is being used effectively and creatively by some of the world’s biggest brands. CRM is an investment and it can sometimes be difficult to see how it will benefit your company without real life examples. Take a look at how these inspirational brands are using CRM to take their businesses to the next level. Tesco’s success in retailing can be attributed in part to their CRM initiatives and implementation of insights gained from these initiatives, i.e the Clubcard Scheme. Launched in 1995 and now with over 12million households in the database, the Cubcard scheme is a great example of CRM innovation. Customers get in-store discounts for spending, but the scheme really gained momentum when Tesco partnered with other industries such as petrol, car hire, hotels and other more, to give customers a wider variety of rewards. Different schemes were introduced to different family members (e.g. Tesco Kids Club, World of Wine Club) to diversify and increase the value. Data from the ClubCard Scheme was used to target product offerings, create product ranges, get a better understanding of shopping profiles and build customer loyalty. Read the full Tesco case study to find out more about how Tesco use CRM to drive sales. By creating stores that are strictly identical, equally devoted to their products, and dedicating a space where those who enjoy Apple products can come together and play, they encourage current and new customers to get excited about what they have to offer. Perpetual hype and media frenzy keeps bloggers and social media users busy and reduces the workload of their marketing departments. Users create an Apple ID which synchronises to other devices, remembers selections, makes recommendations based on what gets played/watched and how often. The database of Apple IDs gives Apple a constantly updated and evolving data set of all their customers and their preferences allowing for effortless targeted marketing. Read the full Apple case study to learn how they use CRM to improve business processes for themselves and their customers. Ability to link transactional data to individual customers gives Asda increasing insight on their customer base and allows them to mine data in ways that competitors take for granted. By flexing the margin between non-loyal customers and loyal ones, they’re able to manage short term benefits against long-term engagement. Call centre handles all customer general enquiries, but also accepts telesales and fax orders, assists on-line customer order enquiries and amendments, processes catalogue requests, effects refunds and credits etc. Call centre CRM helps them to handle over 5000 new online customers each week; leading to a 20-fold increase in sales over the previous 12-month period ending 2012; effectively closing the online sales gap with market leader Tesco. KFC signed a deal with The Cloud to roll out free Wi-Fi to all its customers across 548 of its stores in the UK hoping to entice more patrons with the promise of free internet. A branded landing page requires users to sign up, and this information is stored to contact users regarding special deals and promotions. Along with this simple data collection, they introduced a loyalty app to make further use of their CRM system. Customers download the app and register their details. They are then given stamps when they buy food in store, these stamps add up to free rewards. The app tracks customer location and helps them locate their nearest store, as well as offering specific geographic offers and deals. As the app tracks customer purchasing habits, KFC are able to offer targeted deals and marketing. Lufthansa currently operates more than 500 aircraft hubs from Frankfurt, Munich, and Zurich and services approximately 250 destinations. The Miles & More program allows Lufthansa to target marketing campaigns to specific customers based on their previous journeys. 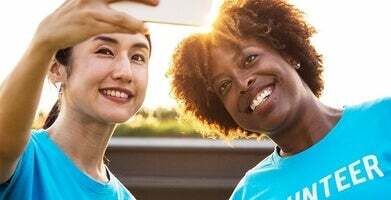 The program also improves customer service by offering rewards for loyalty and assigning each customer a membership level with tiered rewards, based on the frequency of travel with Lufthansa. Not only does the membership level make the customer feel valued, it also shows Lufthansa how valuable each customer is to their business. The airline industry has many distinct challenges, and uncontrollable external pressures such as competition, carbon emission regulation, and fluctuating fuel prices. Many of these variables have the potential to impact the passenger experience. Yet in the airline business, like most consumer-oriented businesses, service quality is the main brand differentiator – especially for an airline such as British Airways that flies over 36 million people to more than 200 destinations. Customer service is at the heart of their business operations and using effective CRM solutions is essential to ensuring they deliver the world class experiences that their customers expect. Their Teradata CRM solution has enabled them to automate a number of ongoing campaigns and customer communications (e.g. ‘Gold Upgrade for Two’ campaign). Free for everyone to join and has no ongoing charges. Contains all of the benefits of standard registration (special offers, user details are saved for easy booking on future flights and travel). Users earn Avios points (currency that equates to BA miles) which can be used to redeem flights, upgrades, book hotels and pay for car hire. Avios can be used with BA’s partner group, the oneworld and the International Airlines Group(IAG), which includes Iberia and American Airlines, thus making it easier for members to use one ‘currency’ across different frequent flyer and collecting programs. Enables members to save their seat and meal preferences. Points earned enable members to progress through from the bottom ‘blue’ tier to the ‘silver’, ‘gold’, and ‘premier’ (platinum levels). Members receive personalised and targeted communication. Using Teradata, BA are able to keep on top of these complex interactions with their thousands of customers. Nokia is a global leader in mobile communications and is one of the most recognised cellular phone brands in the world. With more than 1.3 billion users worldwide, Nokia is a highly successful company. However, increasing levels of competition from cheaper manufacturers has meant that they have needed to develop new and innovative ways to stay current. Using CRM Nokia’s product range and marketing is customised to suit geo-specific locations and locally developed with multiple language options. Sorted, de-duplicated, cleaned and normalised data. Inputted data into a standard format for all locations. Marketing departments saw significant improvements in selecting and segmenting data into specific target groups which led to more effective lead generation. Creation of reporting and dashboard templates enabled Nokia’s marketing and sales teams to fully control all internal and external factors for sales success. As a global brand with massive marketing campaigns, it was important for McDonald’s to begin targeting their marketing and offers to ensure that they make the most of each potential and return customer. The Mobile app is downloaded by consumers on any Smartphone. It delivers data on how often they visit a restaurant, and what their buying patterns are. McDonalds are then able to use these insights to launch and send personalised loyalty rewards directly to a user’s smartphone. The CRM can then match up all vouchers delivered through the app to the restaurant’s point-of-sale system. To find out all the ways McDonald’s have improved business practices through CRM, read the full McDonald’s case study. CRM is imperative for a company with such a wide, global reach as Coca Cola. Coca Cola Enterprises use multiple CRM systems, including Salesforce and Sugar, in order to manage all of their sales, marketing and customer management needs across the various regions they operate in. Read the full Coca Cola case study to find out how Coca Cola use Salesforce and Sugar to maximize their sales and profits. Unilever are a market leader, and as such they are expected to offer the best customer experience possible. Using SAP CRM, Unilever have improved their call centre capability and boosted the productivity of their customer service and consumer advisory representatives. CRM is used to monitor customer relations across all of Unilever’s territories; ”It enables faster response time to queries and needs raised by consumers, provides for effective maintenance of customer database, and gives easy access to customer information for analysis and strategy development” – Efren Samonte (Commercial Director, Unilever Philippines). Unilever have also used CRM to front one-off, customer data collection campaigns. Read the full Unilever case study to understand how CRM can be used in multiple ways by the same organisation. Zara, a leading European fashion brand, use their CRM system to track customer preferences and sales. Digital Assistants (PDAs) are used to gather customer input, which allows designers to plan styles and issue re-buy orders based on feedback. For Zara’s sales teams CRM means dynamic access to large and live databases for real-time information on store inventory, sales, and warehouse inventory. This drastically reduces the time it takes to make a decision and keep customers well informed on availability, improving the overall customer experience. A full Zara case study has been done to illustrate how this brand uses CRM effectively. BMW wanted to use their CRM to analyse data on existing customers, as well as trying to tap into potential customers. The Owner’s Circle lets BMW Owners track their car’s financing and maintenance, as well as strengthen the post-purchase relationship between the vehicle owner and manufacturer. Owners of new or old BMW’s are now able to register their vehicles online using only their vehicle ID number, and then check the status of a new car order; view the maintenance history of a used car; get reminders regarding service milestones. BMW’s CRM also provides an owner-to-owner chat box. Partnering with Legacy Lifestyle means that points earnt through the scheme can be spend on a variety of luxury items. Read more about how BMW use CRM to make the most out of each customer relationship in the full BMW case study. Amazon are a great example of how CRM can be used seamlessly as part of a business model to increase customer satisfaction and retention. Email customers with recommended purchases. Present users with targeted web pages promoting items likely to be of interest. Enable users to make purchases without having to re-enter payment details. Manage pricing (not all customers receive the same pricing). Contact customers for feedback and surveys. Read more about how Amazon use CRM as a part of their business model in the full Amazon case study. CRM is not only for huge corporations like these, even small businesses can and should benefit from an effective CRM system. The companies in these case studies each use the CRM software that is most beneficial for their specific needs. It is always best to compare multiple CRM suppliers until you find the one that suits your budget and requirements. How can CRM help you achieve your business goals?